In your Excel table, you added a major heading that applies equally to several columns of data. You want this heading to be centered over those columns. To accomplish this, you want to merge several cells into one and center the title within it. In this learning module “ Excel merge and center”, you will discover how to merge multiple cells into one and how to center the contents within it . Excel merge and center:HOW DOES IT WORK? Then – on the Home tab, in the Alignment group – click the excel Merge and Center button. Excel Merge and Center: All cells in the selected range will be merged horizontally and vertically. Text will be centered horizontally. If data (text or numbers) were entered in more than one cell of the selected range, only the contents of the upper-leftmost cell will be retained. But before this happens, you will be given a warning. With the excel Merge Across command, cells in the selected range are horizontally merged, row by row. The excel Merge Cells option merges all cells in the selected range, horizontally and vertically, into a single cell. Unmerge Cells: Cells in the selected range are unmerged. Excel tips and tricks are available in German, too. Visit our German blog! 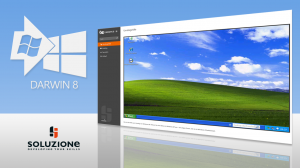 Working with Windows 8 is a challenge? 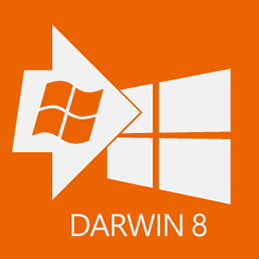 DarWin8, the app from soluzione, shows you everything you need to know about Windows8. Without spending too much time on searching or researching the web. Download now!